Happy February, everyone! Thank you all again for a fun and challenging winter reading experience. The #SCWBC16 wrapped up two days ago, and we had 13 readers finish the entire challenge, so kudos to each of you! Also kudos to everyone else who attempted the challenge, whether you finished one book or 12. I would love to hear everyone's favorite book they read this winter in the comments. Finally, I wanted to apologize for not being a very engaged host this past season. 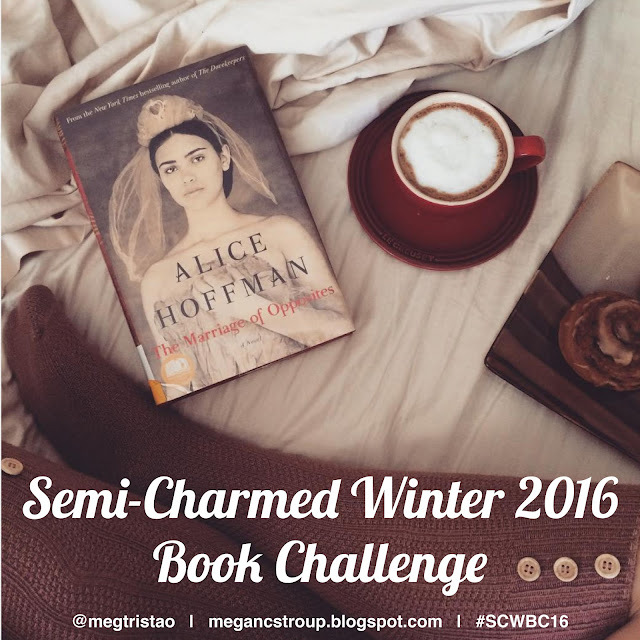 This was my 10th Semi-Charmed Book Challenge (I can't believe it! ), and though I still love this community, I don't plan on hosting another challenge anytime soon. I feel like I'm missing out on so much by not being as engaged as I used to be, and I know there are a lot of other great reading challenges out there for you to join.